Foam rolling? Looks easy and simple enough. You may have seen fellow members performing this as part of their warm-up routine, or you yourself may be including this within your warm-up. But if I were to ask you the benefits, or why we include it within our four principles of preparation, would you be able to tell me? Well, that’s exactly what I am here to do, provide the 411 on foam rolling. Myofascial pain, or to put it simply, muscle pain is a common condition which can affect an individual’s daily activities and cause restrictions during exercise. Regular exercise and performance can also result in small damage to the muscle tissue over time, which can possibly lead to dysfunctions within the muscle such as overuse injuries, structural imbalances and in the long-term lead to decreased performance and increased pain (Healey, 2014). This is where foam rolling comes into play as it is becoming used more increasingly as a method to treat and prevent muscle tightness and restrictions. Foam rolling involves direct pressure placed over the muscle while moving back and forth starting with the part of the muscle closest to the top end of the body. Now, if you have experienced foam rolling before, you will know it doesn’t come without a bit of pain, BUT it is reassuring to know this pain is doing you some good in terms of decreasing muscle soreness and preparing you to perform your session. The direct pressure applied by the foam roller over the muscle is believed to produce a warming of the fascia. What on earth is fascia? Well fascia is connective tissue which lies almost immediately beneath the skin. Fascia is important in providing the muscle groups, organs and body with a supportive and protective framework. This warming of the fascia created by the roller breaks up fibrotic adhesions between fascial layers, which therefore assists in restoring muscle fibre flexibility. 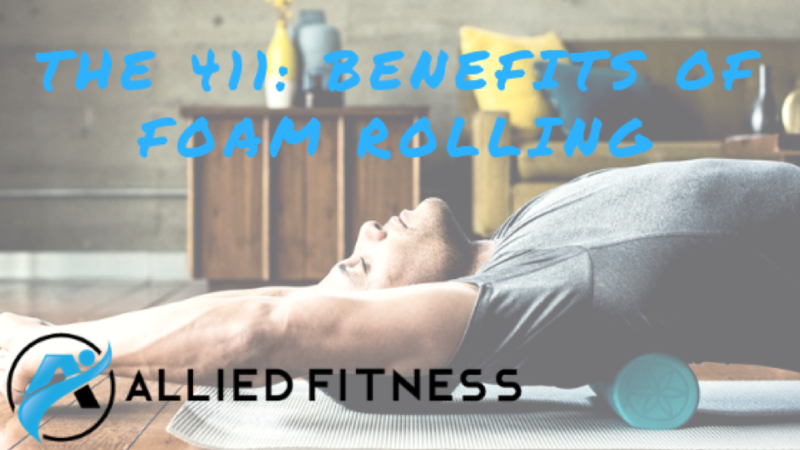 There is some evidence supporting the idea foam rolling is a beneficial tool to add to your routine. Healey and colleagues (2014) conducted a study where they performed athletic performance tests on 26 young adults and prior to testing either included a plank or foam rolling into their warm-up. The group who performed foam rolling showed significantly less post-exercise fatigue compared to the plank group. Similarly Okamoto and colleagues (2014) found a reduction in arterial stiffness and improved vascular endothelial function (blood vessel functioning) when using foam rolling as opposed to a control group who did not. So, you can see we don’t just get you to hop on the foam rollers pre or post exercise to make fun or laugh at you. There are benefits of foam rolling and now when I ask you what they are, you will be able to tell me. If you need help with muscle or joint injury or pain, our team of Exercise Physiologists can help.